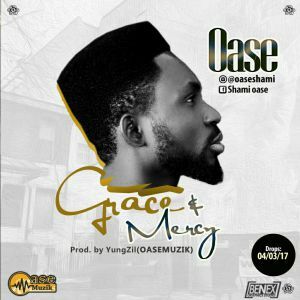 Here is the much awaited single of all time from Oase titled Grace and Mercy. Oase is a typical representation of GRACE & MERCY! He is from an average family who managed to go through school and now the CEO of #oasemuzik. He is a vocal and life coach, a dancer, song writer, composer, and the executive producer of #oasemuzik. OASE believes that no one need to be born a saint before he can become a saint. Jesus Christ came to turn sinners into saints. GRACE & MERCY is a song to transform sinners into saints through the power of the HOLY SPIRIT! He was recently nominated for Prayze Factor Int’l awards 2017 in four different categories.